Good day to all of you! 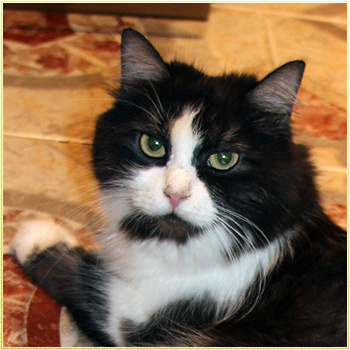 And in our house Murysia, our foundation cat, has appeared. I did not want to sterilize her and kept her for breeding. 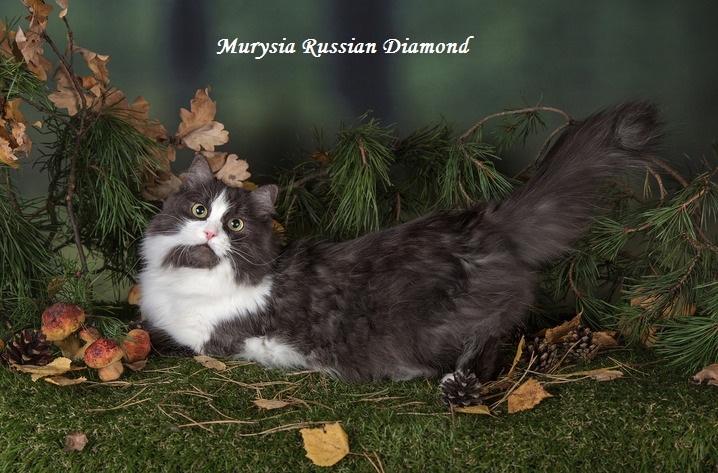 First of all we found for paring typical Siberians. 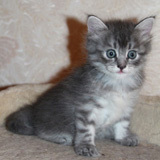 Very nice kittens were born and they were given to our relatives and friends. 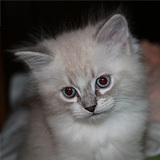 And after appearance of our Neva Masquerade cat Umka (Neva Masquerade cats are also related to Siberians, these are cats of color point (i.e. 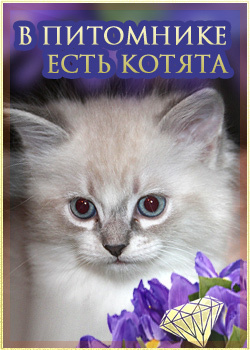 Siamese colour) I made up my mind to become a breeder of Siberians. 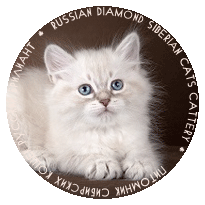 We began to take part in WCF cat shows and just a little time ago we registered our cattery Russian Diamond (WCF). For further info you can contact me by e-mail. I can speak English. 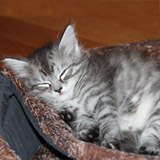 If you are interested in our kittens please feel free to contact me.